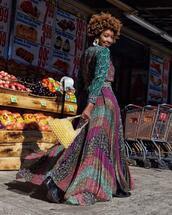 The maxi skirt is a 1970s staple that adds instant bohemian style to any wardrobe. 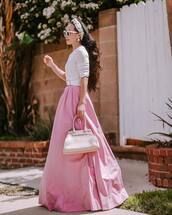 This full, yet slightly fitted skirt endured silhouette changes ever since the 16th century, but if there is one thing that is for sure, maxi skirts evolved to become a wardrobe essential. You can easily go for a cute, girly look by adding a paisley printed maxi skirt to your ensemble. 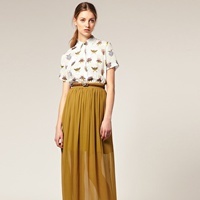 With cool fabrics such as rayon and cotton, these long skirts are a summer staple. 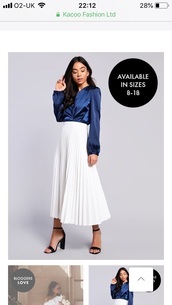 Add a crop top for some boho flare or try a maxi skirt with a slit for an evening out.